Which picture best depicts Copyright? Vote in comments. This event will be at Pizza M, 208 West Main Street, downtown Urbana. Delicious snacks from Pizza M will be provided. Nina Paley is the creator of the animated musical feature film Sita Sings the Blues and the short This Land Is Mine. Her adventures in our broken copyright system led her to joinQuestionCopyright.org as artist-in-residence, where she produced a series of animated shorts about intellectual freedom called Minute Memes. As half of PaleGray Labs, she develops techniques to combine animation with her other passions of quilting and embroidery. Nina is a former syndicated cartoonist, a 2006 Guggenheim Fellow, and currently making a new animated feature called Seder-Masochism. 6 comments to What Is Copyright? 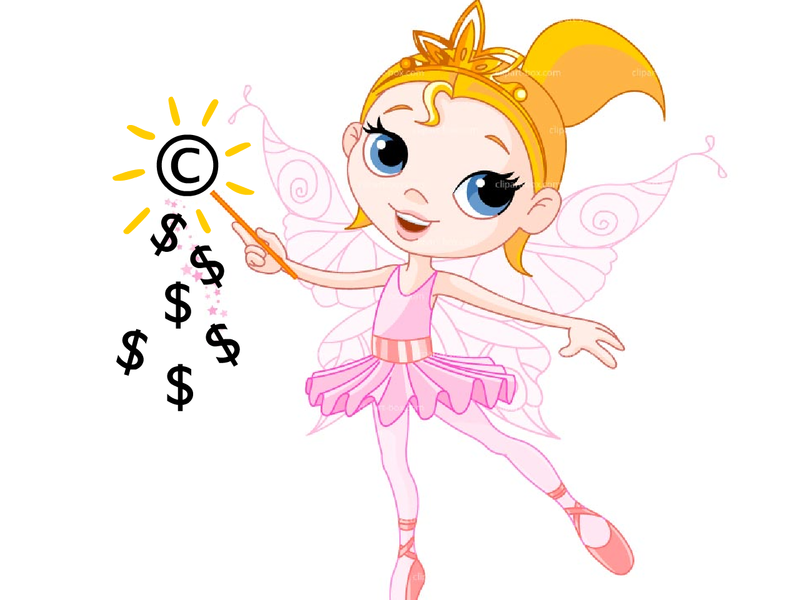 I like the cheerful copyright fairy, because she represents the promise rather than the reality. But her costume should be gold, too. The copyright guy could be funny animated, but as a still image, he doesn’t say a lot to me. 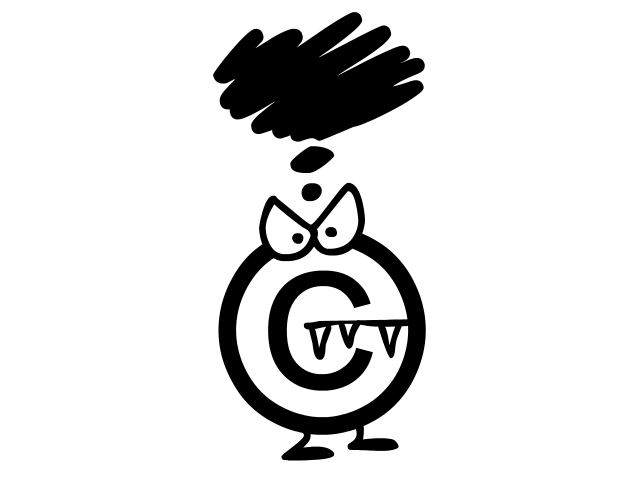 Maybe it’s because I think copyright fans are deluded rather than angry. The sacred calf is nice, but it seems like Bible stories speak to fewer people these days. If you want a classic figure, I suggest King Midas. b, hands down. 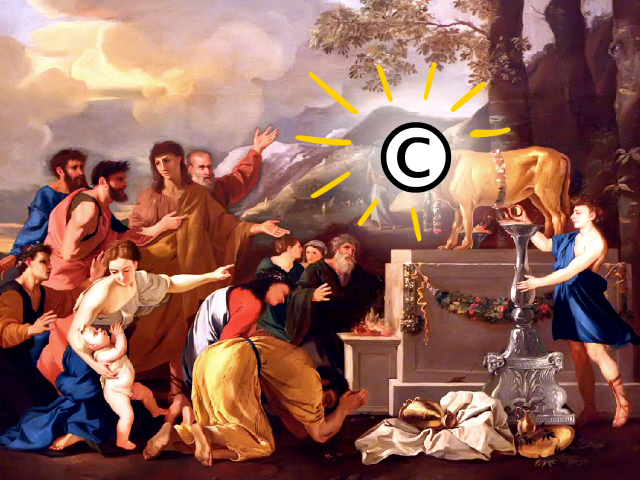 It works not just as Biblical iconography, but from the whole Sacred Cow angle as well. And it’s classical art to boot. No competition. Copyright isn’t an evil monster (C.), it’s just a legal system that’s overestimated and overrated. A: because A is kind of how I always pictured it. So, you don’t mind other people selling your work on Amazon and elsewhere, even outselling you?